Generally when people think of crystals they associate them with the element Earth. 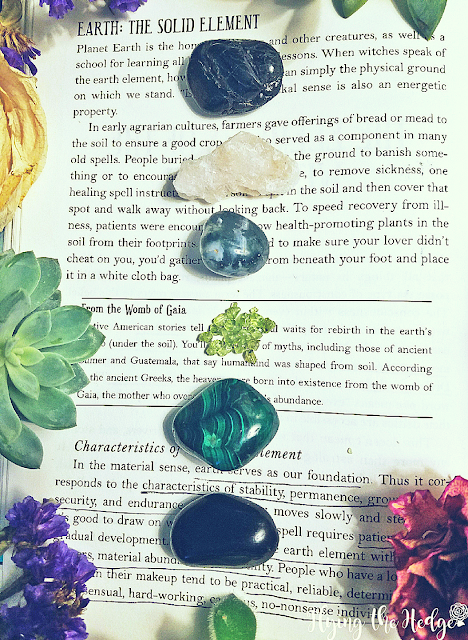 This isn't incorrect by any means as crystals come straight from Mother Earth, and, therefore, they have a strong Earthly connection, but this isn't the only way to think about crystals. 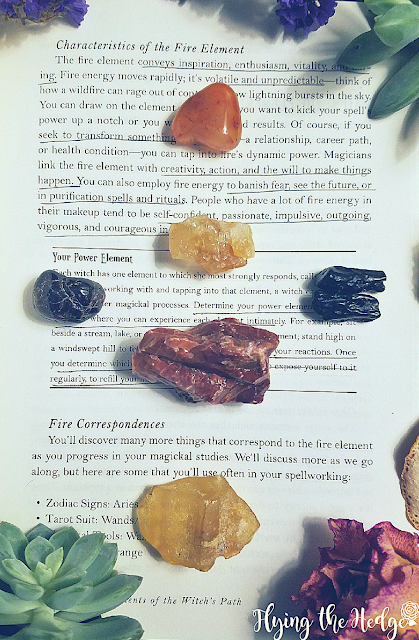 In fact, many crystals are born of Fire, Air, and Water, depending on how the crystal was formed. 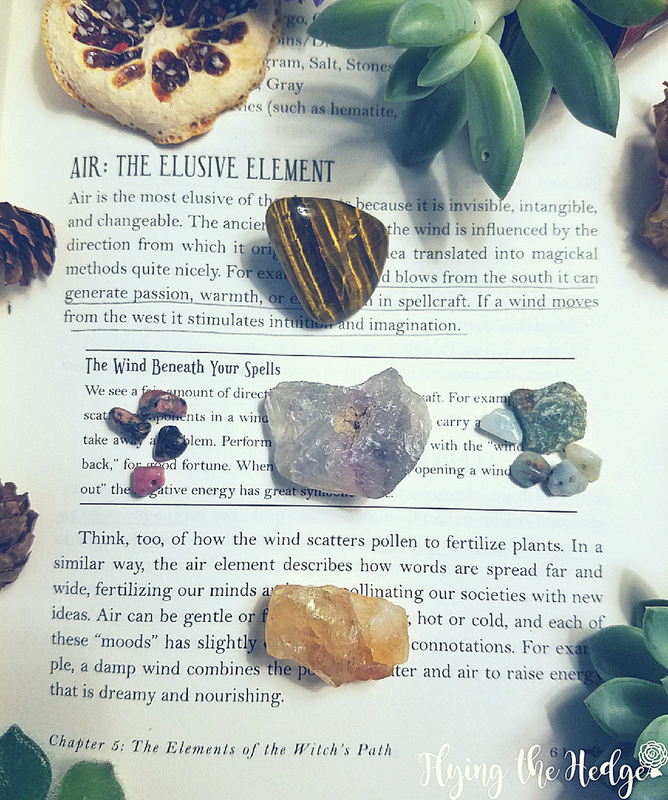 If you are looking at a new way to represent the elements on your altar, especially if you can't have candles or incense or don't have a lot of space, crystals are a great, smoke-free, flame-free, inconspicuous way to represent all the elements. Some of these crystals are harder to find than others, so I have made sure to list easy to find alternatives as well. Remember, if a crystal speaks Water to you, but I have it listed under Air, go with your gut. Your associations and correspondences are more important and will make your altar and magic more personal and therefore strong. Earth represents grounding, stability, protection, prosperity, strength, and success. Really any crystal can be used to represent Earth, but if you are looking for specifics feel free to use any of the crystals below. Water is the basis of all life on Earth, and with water comes healing, purification, peace, intuition, divination, and emotions. 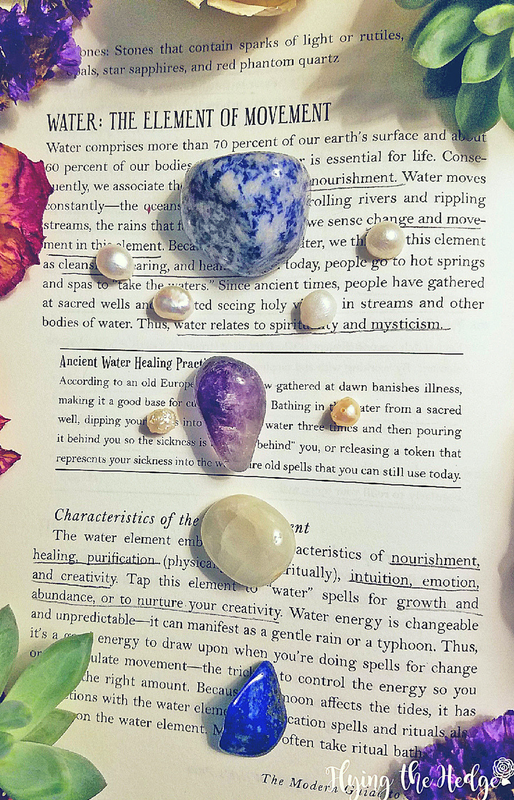 Look for blue and white stones to represent water. Air is associated with thought, reason, intellect, memory, and knowledge. Being associated with yellow, many yellow stones are perfect for representing Air. Finally Fire represents passion, courage, lust, romance, desire, and force. It can both create and destroy. Brightly colored red crystals are prefect to represent fire. 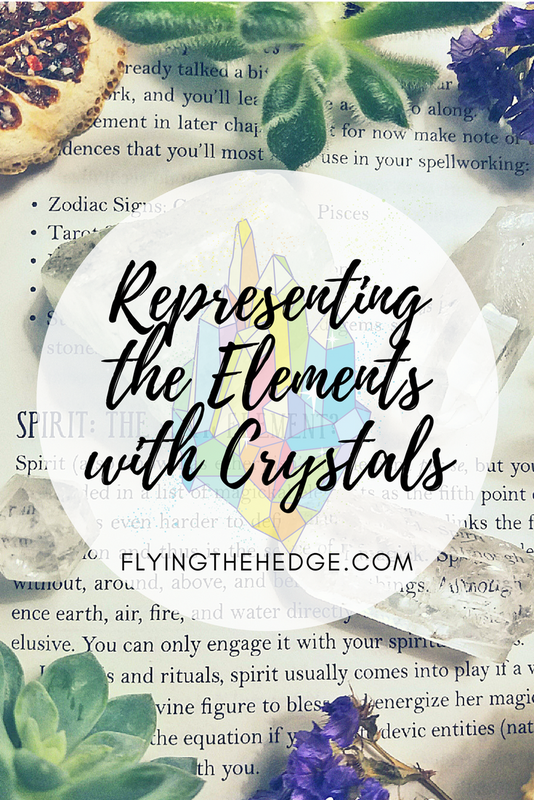 Don't worry if you don't have any of the crystals listed above to represent the elements. There are several crystals that can be used to represent all four, including clear quartz. Clear quartz is am amplifier of all energies and can be used for just about anything. A crystal you may be unfamiliar with, Zeolite crystals, also represents all four elements. Zeolite crystals is crystallized sea water and lava. When it forms it combines lava (Fire and Earth) with sea water (Water) and ash (Air) to form a beautiful crystal. Zeolites include Apophyllite, Scolecite, and Heulandite. 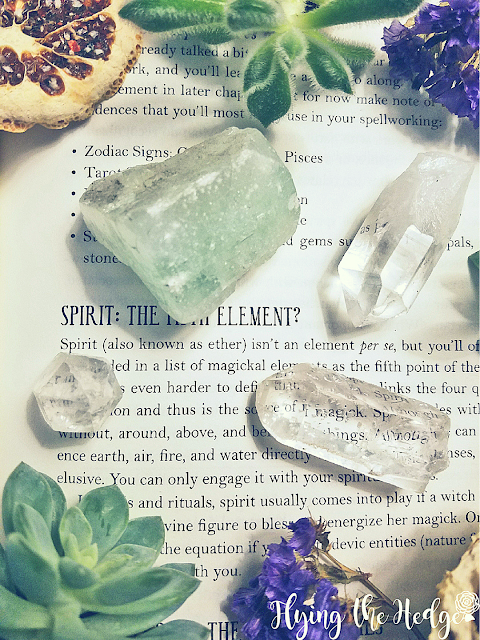 If you are limited on space, try using quartz or zeolite to represent the elements. How do you represent the Elements on your altar? Lovely photos and post as usual! I typically use corresponding candle colors and whatever crystals I have that I feel are in alignment with my current spellwork. Awww thanks! The pictures took forever this time because I actually spent time taking the photos. Lol! I figured I better put an equal amount of effort into the images as I do the content. Drives in more readers, eh? Love the use of candles with crystals. I do it all the time. Easy and cheap! 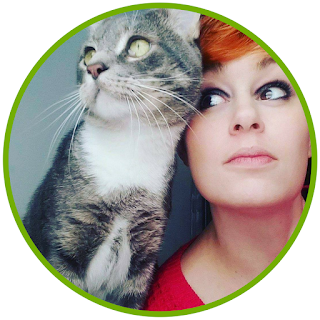 what is the book whose pages are featured in your photos in this post?